The agriculture sector remains and continues to be the largest source of employment in the Liberian economy. The agriculture sector remains and continues to be the largest source of employment in the Liberian economy. It generates employment for more than seventy-five percent (75%) of the Liberian population and contributes more than fifty percent (50%) to the Gross Domestic Product (GDP). Agriculture has been an important source of income generation, especially for our rural population. About seventy-five percent (75%) of the rural dwellers in the country are involved in agricultural activities as a mean of survival or earning their livelihood. The development and improvement of this sector would yield substantial dividends for our rural populations; some of the major challenges that face this sub-sector are the lack of agro-processing facilities, wastage and spoilage. Cassava is the second staple food in the Country and is widely cultivated. Cassava can be processed into other related products such as flour-like food staple called farina or gari, starch, chips, bread. 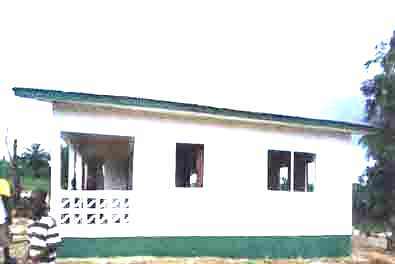 The Ministry of Commerce and industry on July 27 2013 Dedicated a cassava processing plant in Daniels Town Cape Mount County to assist rural farmers’ process their cassava. This Project is expected to roll out 2 additional plants in 2013/2014. H.E. Joseph N. Boakai Vice- President of Liberia officially launched the project. In 2013 The European NGO, Zoa signed MOU with the Ministry of Commerce & Industry to improve the plant built in Daniel’s Town, Grand Cape Mount County. In accordance with the MOU, Zoa hired contractors constructed extension to the building. Zoa also repaired a state of the art well and hand pump which provides water supply to residents of the community.